Add a distinctive accessory to your jewellery collection with the Nouv-Elle beaded necklace. 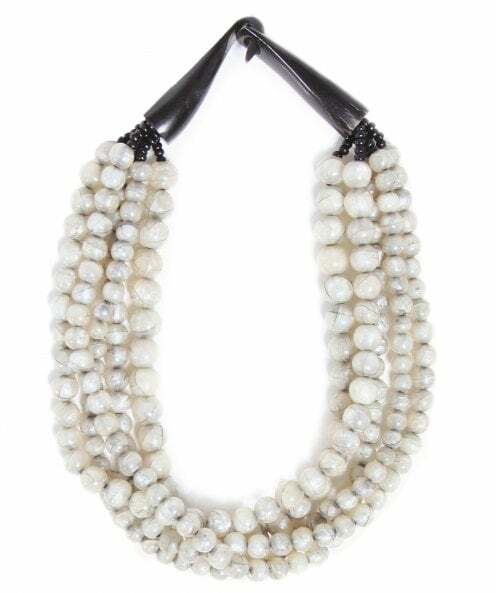 This five strand necklace boasts a unique design, featuring a multitude of spherical beads with a translucent shimmering finish. The necklace has a hook fastening and is perfect for adding a touch of contemporary style to your everyday ensembles.